Construction of the missile base began in 1985, but was suspended late in the year. In 1985, the road to the missile base was unpaved. According to defector Im Yŏng Sŏn, a delay in missile development might have resulted in the halt of construction. Im says officers at the construction site said the missiles to be deployed at Shin'gye-kun would be capable of reaching the Kŭm River in South Korea. This suggests they were the Scud-Bs, given the distance is about 250-300km. However, the South Korean Ministry of Defense says North Korea deployed "Scud-C" missiles at Shin'gye-kun in 1988. Im says the soldiers at the construction site referred to the missiles as "Hwasŏng" (火星) without any numerical designation. North Korean soldiers also said the missiles were "kuksan" (國産), which means "nationally produced" or "domestically produced." In June 1990, US satellite imagery reportedly revealed the construction of two missile launch sites near the Demilitarized Zone (DMZ). Although the locations were not revealed, they were probably Chiha-ri and Sariwŏn. Shin'gye-kun is also near the DMZ, but Shin'gye-kun was not one of the two sites revealed in 1990 because Scud missiles were already deployed there in 1988. In 1994, a Scud missile regiment at Shin'gye-kun was upgraded to a brigade, which normally consists of two battalions with 12 launchers. "Defense Ministry Says Nodong-1 Test in May Successful," Yonhap News Agency, 24 June 1993, in FBIS JPRS-TND-93020, 28 June 1993, p. 1. Joseph S. Burmudez, Jr., "Ballistic Ambitions Ascendant," Jane's Defence Weekly, Vol. 19, No. 15, 10 April 1993, pp. 20-22. Kim Min Sŏk, "Pukhan Missile Kiji Kyesok Chŭngsŏl," Joongang Ilbo, 6 March 2001, p. 8, in KINDS, www.kinds.or.kr. Kim Sŏng Gŏl, "'Pukhan'gun Chŏllyŏk Chŭnggang'/Kukpangbu Palp'yo," Hankyoreh Shinmun, 13 August 1996, p. 2, in KINDS, www.kinds.or.kr. Kim Min Sŏk, "Kukpang'wi, Pukhan Kunsaryŏk Nollan," Joongang Ilbo, 24 April 2001, p. 8, in KINDS, www.kinds.or.kr. 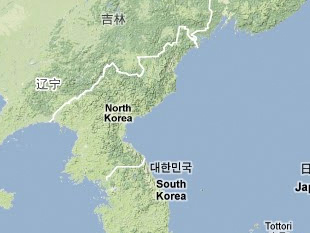 Bill Gertz; "North Korea Builds 2 Missile Launch Sites," Washington Times, 14 June 1990, in Lexis-Nexis Academic Universe, www.lexis-nexis.com.